This exhibition marks the conclusion of a three year project coordinated by Professor Mark Edmonds exploring the significance of stone tools in Orkney from the Mesolithic to the Bronze Age. Conversations with Magic Stones will be on display over three venues across the county throughout the summer. 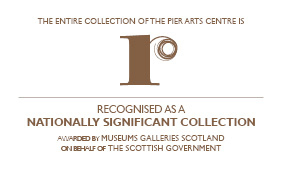 The Orkney Museum’s exhibition looks at the social history of collecting, while Stromness Museum’s display focusses on stone artefacts from around the world that have washed up on Orcadian shores over the past few centuries. The Pier Arts Centre exhibition explores the relationship between the sculptor Barbara Hepworth (1903-75), her working methods and interests and the makers of pre-history offering an important counterpoint to the other two displays.